The evolution of the marine inverter industry reads like a Pacific Northwest mini-series. As the story goes, it is the mid-70’s and a boater, Steve Johnston, meets an off-grid engineer, Heart Ackerman, on a beach in Costa Rica. At the time, they were both using Tripp-Lite inverters which they found unreliable and not terribly sophisticated. Steve specialized in mechanical engineering and Heart specialized in electrical engineering. The duo returned to Washington State, rounded up a bunch of people they had worked with in the Hi-Fi electronics industry, and started their own inverter company called Heart Interface. It started well but in 1984 Steve and three other Heart employees left and started Trace Engineering. Four years later, they sold Trace to new owners who merged with Xantrex Canada in 1990. Xantrex Canada was then purchased by Schneider Electric in 2008. In the meantime, two other Xantrex employees left to start OutBack Power and Magnum Energy taking a couple of engineers from Trace with them. Many of the same employees and technologies were also responsible for the creation of Statpower (later absorbed by Xantrex) and Delta-Q, based in the lower mainland. The actual evolution of the inverter technology did not have as many twists and turns. First generation inverters, referred to as Metered Darlington Technology (MDT), used a circuit to power a transistor proportional to load. The second generation inverters used Field Effect Transistors (FETs) which had almost no switching losses, greatly improving efficiency. By 1990, inverters were incorporating integrated circuits and in 1992, the first inverter/charger using a microprocessor-controller was introduced. The Most Popular Types of Inverters in the Marine Industry. An inverter can produce a square wave, modified sine wave, pulsed sine wave, pulse width modulated wave (PWM) or sine wave depending on circuit design. The two dominant types of inverters we see in the marine industry are modified and pure or true sine. Many boaters still have modified sine wave inverters on their boats and they work well for most resistive loads, such as lights and coffee pots, but have a hard time running any inductive loads, such as microwaves, TVs, and even modern coffee machines. Modified sine wave inverters used to be the most common and are the least expensive. Pure sine wave can handle all AC loads and are specifically good at handling AC inductive loads such as laptops, battery chargers for cordless tools, dimmers, sanders, polishers and stereos. 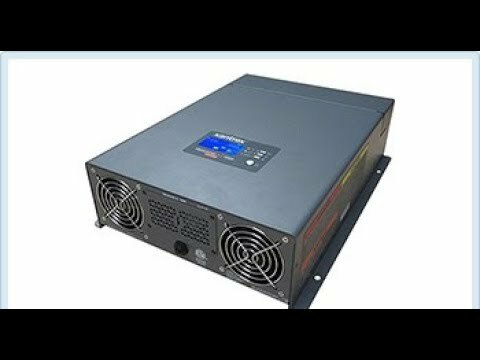 Pure sine wave inverters produce a better, cleaner power, identical to that in your land-based home or office. The price difference between modified and pure sine wave has narrowed and, considering the benefits, most boat owners are choosing pure sine wave inverters. The capabilities of these inverters were now two-fold. Not only were these units able to change direct current (DC) to alternating current (AC) or 12V DC to 120V AC, they also included multi-stage chargers that were designed to maintain batteries by conditioning them to manufacturers’ specifications. This was an incredible advancement because proper conditioning leads to longer battery life. The newer inverter/chargers also have charge equalization modes that use higher voltage to break up battery sulfation in flooded lead acid batteries, again extending the life of the battery. Inverter/Charger. In 1992, Xantrex launched a line of inverter/chargers called Freedom specifically for the recreational marine and RV markets. 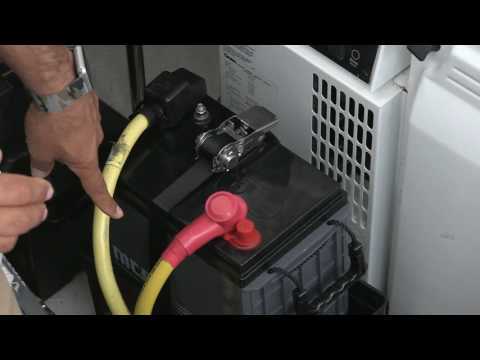 These became one of the most popular inverters and we still see them in many boats today. 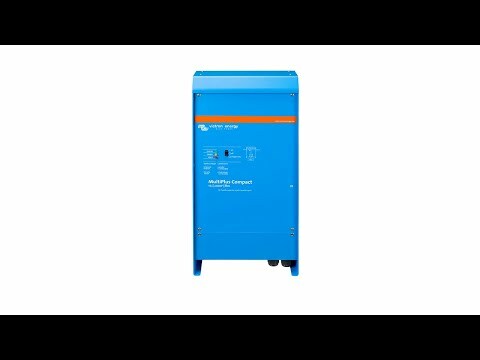 The most recent addition to this line is the Freedom SW series, a pure sine inverter that can actually be stacked with another Freedom SW inverter. You could stack two 3000W inverters for a total of 6000W which could actually run an air conditioner. Automatic Generator Start. Another great innovation from a number of inverter manufacturers is the automatic generator start (AGS) function. 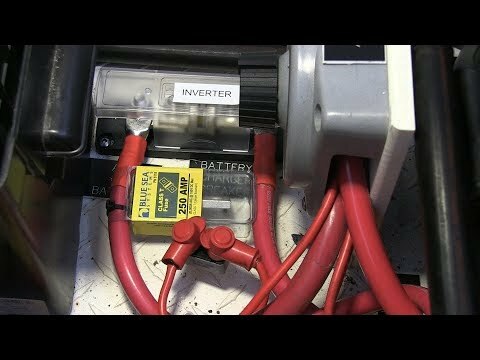 This controller will automatically start your generator based on battery voltage and then automatically stop after a pre-programmed amount of time. You can even program in quiet times, so your generator doesn’t wake up the entire bay at 0600 hours. Most of the models on the market now work with all the major generators such as Onan, Westerbeke, Kohler, Northern Lights, Generac and Powertech. This function can even work with portable generators that are equipped with an electric start. WiFi. 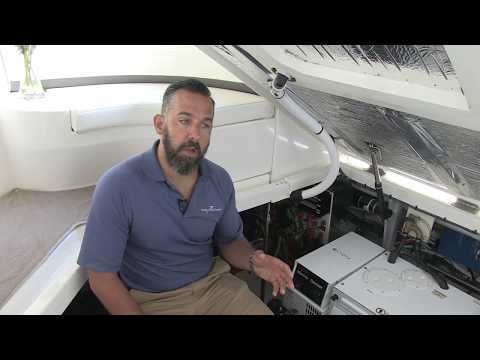 As with many other marine manufacturers, inverter companies are also embracing onboard Wi-Fi to offer boaters an advanced power management system. Products like the Xantrex Conext ComBox or the Magnum MagWeb offer live monitoring of the inverter, battery monitor and automatic generator start module. You can view current conditions, current settings, daily summaries, faults, and battery monitor status through a web-based portal or a smart phone app. It will even email or text you if there is an issue. One of the big installation challenges of replacing an inverter/charger is that older models would often use a telephone cord to connect and some newer models are using an ethernet cable. This means you could spend hours removing the old cable and re-running the new cable. Xantrex now offers a telephone network cable adapter that allows you to use the existing telephone cable. 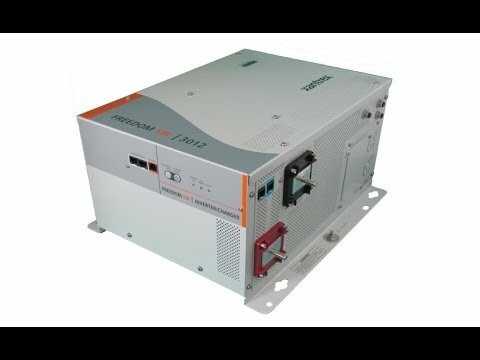 The development of the inverter to an inverter/charger has been another game changer for the marine industry. Boaters are no longer required to install two different units, incur almost twice the costs and sacrifice twice the space. 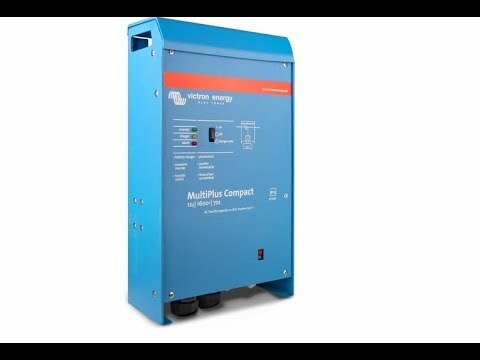 The new inverter/chargers have a smaller footprint, are more efficient, offer smart charge capabilities and come with a lot of new and really usable features.